Refer to the person/s making the booking, and/or those actually using the service/s advertised, and/or those viewing this website. Refer to the owners of the vehicles, either a Private Independent Owner or an established Wedding Transport Company and who operate under their own or their business name and enter into a contract with the client to provide the vehicle and service on the hire date. Refers to English Wedding Cars of 606 Kings Road, London SW6 2DX. English Wedding Cars is a fully GDPR Data compliant company. Prices shown on this website are for guidance only and are subject to confirmation prior to your booking the vehicle/s. The price of each vehicle shown on the website may be adjusted up or down by the vehicle owner at any time, however once a booking is confirmed it will remain at the agreed price for the agreed itinerary. Quotes are valid for up to two months. We reserve the right to amend any information on this website at any time. All rights to photographs, graphic content, text content and programme coding displayed on this website belong to or are licensed to English wedding cars. We regularly check other website’s, Trading Standards will be informed of all copyright infringements. We will also take immediate legal action against any person or company who by infringement of our copyright or any owner’s rights takes any part of this website’s content, including any photograph, any text content or personal communication details with a view to copy, amend or alter any of the above or use for their own purpose whether business or private unless express permission has been given first in writing from English wedding cars. Warning ! All material on this website has been duplicated, dated and registered to protect our copyright. Other materials used, such as brand names, logos or company names are also protected by copyright, trademark and other laws. These terms and conditions shall be governed by and construed in accordance with the laws of England and Wales and under the exclusive jurisdiction of the English courts. a. Contents – It is the client’s responsibility to ensure they collect their luggage & personal items when leaving the vehicle/s, English wedding cars and/or the vehicle owners do not accept liability for items left in vehicles or the responsibility for forwarding on such items. b. 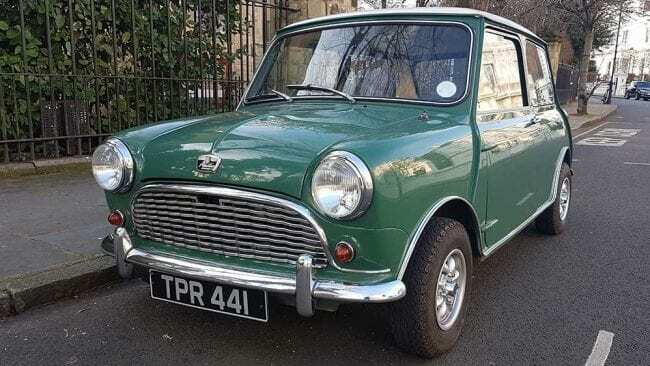 Interior Space – Seating capacity is given based on the manufacturers specification however some classic and vintage vehicles come from an era when vehicles were smaller and passengers tended to be slighter than the current day. The client should inform English wedding cars at the time of booking if they have concerns over space for those planning to travel. c. Clothing Damage – It is the responsibility of the wearer to ensure their clothing avoids close proximity or contact with car areas that naturally could produce dirt or grease such as the tyres, exhaust pipes, door shuts/hinges etc. English wedding cars and/or the vehicle owners will not be held liable for soiled or damaged clothing. If champagne or another type of drink is served or provided English wedding cars and/or the vehicles owner will not be held liable for damage to clothing or injury to persons caused by spillage, airborne corks or glass breakage, howsoever caused. d. Conduct & Illness – Vehicles will have been fully valeted before leaving base, should a passenger feel unwell the driver will gladly pull over and stop if requested, in event of passenger illness in the vehicle the cost of an interior valet and any time lost may be charged by the vehicle owner. Driver/s retain the right to refuse to convey any passenger who in their opinion appears to be under the influence of alcohol or other substance and whose condition may put the driver, the vehicle or other passengers at risk. Abusive or offensive behaviour towards the driver is not acceptable, in such situations the driver reserves the right to terminate the hire and vehicle owners reserve the right not to make refunds. Interior and Exterior – The client is responsible for any damage to the vehicle exterior and interior during the hire caused by their own, the bridal party or their guests actions or inaction unless loss or damage was directly caused by the vehicle owners and/or drivers. Damage also includes, but is not limited to, that caused by clothing studs, zips or sequins, military swords etc. We recommend you allow the chauffeur/s to open the doors for you especially when entering or exiting the vehicle on main roads, close to buildings or other vehicles. The terms & conditions in no. 3 below advise on damage caused by unsuitable road surfaces. a. Itinerary Confirmation – It is the client’s responsibility to check the confirmation sent by English wedding cars to ensure it details their full and correct requirements and must advise English wedding cars if any requests they have made are not listed as anything not listed may not be delivered. English wedding cars and/or vehicle owners/drivers will not be held responsible for incorrectly advised information. English wedding cars acting at the request of the vehicle owner/s reserves the right to vary the price and/or availability, if the information given on the client’s reservation/booking form is different from that of the original enquiry quoted. b. Changes to Itinerary – Sometimes wedding planning does not go as intended, so if you need to change your times or amend any other information with your booking it’s no problem we won’t charge you a penny however English wedding cars reserves the right to make a small admin charge if ‘constant and repeated’ changes and/or updates to the originally notified itinerary are requested. Changes should be advised as early as possible but not later than 28 days before the wedding, although vehicle owners will do their very best within this timescale to make the changes for you they are unable to guarantee changes requested within 28 days will be possible, for example if due to subsequent driver commitments and/or UK Law driver working time directive limitations especially later collection times at night where the requirement for change encompasses the early hours of the following morning and as a result that days commitments become affected, so always best to ensure the correct collection times have been advised in the first instance at the booking stage. If changes or updates to the originally advised itinerary are required this must be advised in writing or email to English wedding cars, not direct to the vehicle owner/s unless it is within 28 days to the hire date. Changes to itineraries will not be accepted over the telephone. English wedding cars will send an amended itinerary to both the client and vehicle owner every time the client requests changes or updates. It is the client’s responsibility to ensure they receive a written amended itinerary every time they request changes and/or make updates and upon receipt must check their new requirements are correct. When sending changes via letter or email clients must not automatically assume their changes have been received as emails and letters can go astray so the client must always assume their changes have not been received until they receive an amended itinerary from English wedding cars showing the requested changes. Clients must contact English wedding cars if they are not in receipt of an amended itinerary 72 hours after requesting changes and/or updates as in the event we have not received the communication the previous itinerary without the changes will still be in place. The client must retain the amended itinerary from English wedding cars detailing their new requirements until after the wedding date as this will be their only confirmation showing that changes were received. c. Route Planning & Access – Clients must advise English wedding cars not later than 28 days prior to the wedding if they require a specific route to be followed or intend to travel to another destination or require additional trips other than those originally notified on their reservation form and shown on our confirmation. Vehicle Owners may at their discretion make a small charge if the client requests within 28 days of the wedding a specific route to be followed after the vehicle owner has already carried out a route check for the direct route, however this will only be considered if a further check on the client’s new route is required. Clients must also ensure sufficient time has been allowed for the trip/s required especially if more than one trip to the ceremony venue is planned using the same car, client’s must therefore consider the travel time in each direction plus 5 minutes minimum turnaround time at both ends and if the car is a vintage or classic car remember these do not travel at the speed of today’s cars, usually no more than 40mph, so better to allow more time than less. English wedding cars and/or vehicle owners can only confirm the arrival time at the first collection address, this will be fifteen minutes before this first departure which will also be the on duty start time, timings for any subsequent trips are dependent on factors outside the control of owners and drivers once departed from the collection address, ie traffic congestion, photographers, guests, passengers etc. Client’s must advise at the time of booking if any part of their journey is not over a normal standard road surface, for example an unmade up road, track or narrow lane with growth protruding into the pathway of vehicles, or through fords, streams or if higher than normal raised speed humps are present as prior assessment of suitability for the vehicle/s may be required, in all cases your chauffeur reserves the right on the day not to take vehicles along unsuitable road surfaces if damage to the vehicles bodywork or its underside could be caused, this is of particular concern for Buses with low boarding platforms, longer wheelbase and limousine style vehicles with lower underside clearance and the client accepts this. The client accepts it may not always be possible for English wedding cars to give complete confirmation of access to specific venues and/or for specific vehicles as being an office based company we are unable to visit every possible venue or be aware of clearance limits for each particular vehicle therefore the client should advise the vehicle owner directly if they have any concerns about access to a particular venue as the vehicle owner will be the best person to clarify this and will be aware of their vehicle limitations and may well have visited the venue/s previously, alternatively the venue may be able to offer some guidance. English wedding cars and/or vehicle owners will advise on access to the best of their ability based on previous engagements at venues but will not be held liable for the inability of a specific vehicle to access any venue due to unsuitable road surfaces or obstructions as described above. In the case of taller double deck buses further restrictions may apply including overhanging trees, cables, wires and turning places therefore for double deck buses only, the contract will not be considered in place regardless of whether a deposit has been paid until a satisfactory route check has been completed. English wedding cars, the vehicle owner/s and/or drivers will not be held responsible for vehicle inaccessibility to any address in the clients itinerary, but rest assured the driver will stop as close to the address as reasonably possible and the client accepts this could happen at venues where unsuitable road surfaces or obstructions may exist. Unless a specific route has been requested Chauffeurs and/or owners will decide the best route to be taken however if a client decides to change these on the day and deviate from the planned route directions may need to be offered. If a wedding is not local to the vehicles base it may not always be possible to carry out a prior route check therefore satellite navigation may be used. As satellite navigation can at times be misleading, the vehicle owner/chauffeur must also ensure they are familiar with the route to be taken beforehand by checking out their itinerary via paper maps before departing base, however the client must also accept if they are hiring a vehicle that is not local to the area of their wedding some intricate directions may need to be clarified with the chauffeur at the time. d. Journey Times – Timings are provided by the client, if the client does not provide these we will use online route finder services like AA and Multi Map for route timings, however clients are responsible for checking these to ensure the timings allowed for their journey/s are correct and to their exact requirements as these are the same details given to the vehicle owner/s responsible for carrying out the duty. If requested English wedding cars will offer guidance on timings but will not under any circumstances be held liable should our guidance or the online route finder timings prove inaccurate. e. Important, Re-Confirming Your Itinerary – As a sensible precaution and as itineraries are frequently amended English wedding cars ‘requires’ the client as part of these terms and conditions to make direct contact, not with English wedding cars, but with the actual vehicle owner/s contracted to carry out their itinerary to run over the final requirements approximately 14 days prior to the wedding day then should any problems come to light they can be rectified before they occur. If the client is having difficulty making contact with their contracted owner please advise English wedding cars, but do not leave this until the last minute. Vehicle owners contact details are shown on all itinerary confirmations. English wedding cars requires all clients to read this websites FAQ section which in the unlikely event of a situation happening on the wedding day itself offers positive and constructive advice, it also offers advice of what to do just prior to the wedding day. The client confirms English wedding cars, its employees and/or vehicle owners will not be held liable should a problem occur on the wedding day because the client has not followed this sensible requirement. f. Extending Hire Time on the Day – Occasionally even the best plans can overrun for a variety of reasons so your chauffeur/s will always try to be as flexible as possible, therefore should a situation arise on the actual day of the hire requiring additional trips to be carried out or the vehicle and drivers time in attendance to be increased from that originally advised in the itinerary the client agrees to pay the chauffeur/s cash on the day for the additional time or mileage requested unless a prior arrangement with the vehicle owner/s has been made for the client to be invoiced after the event and the client confirms they agree to this. Without payment being made on the day prior to extending the hire time and/or increasing the agreed mileage, or prior agreement of payment by later invoice the contract will be deemed as completed and ended at the original time currently paid up to and shown on the clients itinerary and the client understands and agrees to this. g. Additional Photography Location – Vehicle owners will be happy to provide a stop-off for additional photographs en-route from the ceremony venue to the reception venue. These will not incur additional charges unless the proposed stop-off location deviates from the direct route planned or the time required extends beyond that quoted and paid for. Clients should advise English wedding cars at the booking stage should they wish to stop off at a different location en-route for photographs so the correct quote can be provided at the outset. h. Misrepresented Itinerary Type – Vehicles shown on this website are only available to hire for Weddings, Wedding Blessings, Civil Partnerships, Film & TV and some for Funerals, any other type of hire requires the vehicle owners to have special licences and different insurance requirements, should a booking be misrepresented and made under the banner of permitted hire which on collection turns out to be another type of uninsured hire passengers will not legally be permitted to travel, the vehicle will therefore depart back to base and all monies paid will be forfeited. If a vehicle for another type of event is required please ask as we may be able to offer alternative suggestions. a. Deposit and Balance Payments – The booking is made up of two payments, added together they total the full quote accepted by the client. If the client chooses they may pay both payments together at the reservation stage should they prefer to pay the whole amount in total? b. Deposit – The initial payment is the reservation deposit and is administration related, receipt of the deposit ensures the booked vehicle/s have been reserved for the client and removed from English wedding cars availability to others. The deposit also covers the vehicle owner/s payment for us to provide at their request and on their behalf the initial marketing, tailored quotes, arrange viewings, produce fully detailed itineraries, set up payment options, provide subsequent changes and amendments and generally manage the booking in its entirety. The deposit also goes towards a proportion of telephone, tax, insurances and other office related expenses. As the majority of this work will have already been completed at the reservation stage and the vehicle has been removed from marketing and therefore unavailable for others to book the deposit is Non-Refundable in event of cancellation by the client. 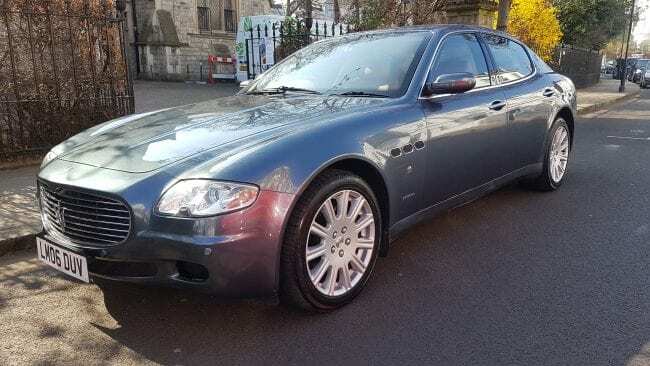 The Deposit is however secure and will be Fully Refundable if the vehicle owner is subsequently unable to provide the booked vehicle or provide another the client is happy with as a replacement resulting in the vehicle cancellation. c. Balance – This final payment is vehicle related and covers the cost of vehicle insurance, fuel, driver’s wages, valeting, route checks, wear and tear, tax, other vehicle running expenses and the remainder becomes the owners profit from the hire. In the event of cancellation by the client within the time frame detailed in these T&C’s the Balance will remain a Fully-Refundable fee. d. Confirmation – The booking is not confirmed until receipt of the completed reservation form and securing reservation deposit for each vehicle and in the case of cheque’s the payment is cleared. Confirmation will be sent to the client on receipt of the deposit and completed reservation form, this will include all instructions received to date including payments made and due, where information requested has not been supplied the client’s further instructions in writing will be awaited in due course. Clients must advise English wedding cars if, after paying their deposit they have not received after 72 hours their itinerary and formal confirmation of their booking which will show the deposit has been received, English wedding cars will not be held liable for booking misplacement’s or loss of reserved vehicle/s if the client fails to advise us. e. Payment and Contract Commencement – By paying a deposit or full or part payment and/or by ticking the agreement box on the reservation form the client is entering into a contract and confirming they have read these terms and conditions, they understand them and accept them in full and agree to be bound by them. f. Clients Payments to Vehicle Owners – English wedding cars does not act as principal, or sub contract vehicles, as such the client acknowledges English wedding cars accepts clients payments on behalf of the owner/s of the vehicle the client has booked and all such payments made by the client and paid via English wedding cars become the entitlement and/or property of the contracted vehicle owner immediately upon receipt by English wedding cars, the client fully understands and agrees their payment/s are in transit and as such authorises English wedding cars upon receipt to transfer their payment/s to the account of the owner of the vehicle the client has booked. In the unlikely event a vehicle owner is subsequently unable to provide their booked vehicle and a refund is due, or the client has paid more than the standard deposit and needs to cancel 43 days or more prior to the wedding date and requires a refund, or the client has cause to enter into a dispute with a vehicle owner and considers a refund to be payable the client is confirming they fully understand and accept that any repayment must be refunded direct from the vehicle owner/s they authorised English wedding cars to pay. Payments transferred to vehicle owners on authorisation of the client are unable to be refunded directly by English wedding cars. g. Amended Quotes – Quotes are valid for up to 2 months but will remain adjustable if the number of trips or hours required differ from those of the original enquiry to those required at the booking stage. In the unlikely event a quote has been incorrectly calculated due to human error and a booking has been made this may be corrected as long as English wedding cars has sent notification of the error to the client within 14 days of making their booking, the client may then either accept the corrected quote or cancel the reservation and receive a full refund of all monies paid. If the client after paying a deposit subsequently requires the original hire time extended or shortened an adjustment may be made to the quoted price at the discretion of the vehicle owner. The client receives a quote based on the initial information provided at the enquiry stage, this includes the number of trips advised and pays a deposit and/or full pay as acceptance of that quote, should the client later decide to add additional trips and/or mileage on top of those originally advised and quoted each additional mile required will be at the standard rate of £3, add on trips or mileage will not be considered part of the inclusive mileage from the original quote. If the client subsequently changes their itinerary prior to the wedding day resulting in the total ‘base to base’ mileage to be reduced the original quote agreed and accepted will not alter unless the vehicle owner agrees to this. h. Quotes and Correct Vehicles – As quotes and subsequent bookings can be made many months apart clients must ensure the vehicle/s they require are still the same as that quoted for by reviewing the live website at the time of booking in case recent changes have been made, they must not rely on saved and possibly outdated copies of the website, although quotes are valid for up to two months the client agrees that when making reservations they do so based on the website photos and descriptions as currently displayed on the day of the booking. All vehicles have reference numbers for identification. j. Balance Payment – The balance can be paid at any time convenient to the client in advance of the wedding date but in all cases to be received not later than 14 days before the booked date. If the balance is not received by the final due date shown on the client’s confirmation it may result in cancellation of the booking or an administration charge added in pursuant of the overdue balance unless we have agreed a later date for payment. Vehicles will not be provided unless the full outstanding balance has been paid prior to the wedding day. Vehicle owners agree to, on receipt of the full and final balance, provide the vehicle/s requested on your reservation form, and will transport to and/or from the designated destination/s as requested on your reservation form those persons listed on the reservation form either by name or by number. k. Long Term Advance Booking Prices – Unless the hire time requested increases or the original trips and mileage advised increases all bookings are guaranteed to remain fixed at the quoted price. In order to secure a particular vehicle some reservations are made many years in advance of the wedding day, the owners therefore reserve the right only if deemed really necessary to make a ‘reasonable’ adjustment to the agreed charge to cover any ‘excessive’ rises in fuel and insurance costs but this will only be considered if the booking was made 18 months or more in advance of the wedding date. Any adjustment if appropriate must be advised to the client by the owner not later than 12 months prior to the wedding date. l. Cheques – Payments by cheque are no longer accepted except in exceptional circumstances, in all cases payment by cheque must cover the full and total amount of the hire and will not be accepted within 42 days of the wedding. If a client subsequently pays funds directly into our account by cheque within 42 days of the wedding this will not be accepted as payment, therefore the amount due must be re-paid by the notified method. Late cheque payments paid into our account by the client should be cancelled or stopped, those that have not been stopped will of course be fully refunded but a refund will not be made until we have assurance from our bank the funds are confirmed as paid and are unable to be drawn back by the client’s bank. a. Seat Belts and Child Seats – English wedding cars requires vehicle owners/chauffeurs to abide by UK law. UK law requires all persons to wear seat belts in vehicles where fitted. Where vehicles are not fitted with seatbelts due to their classic and vintage age exemption clients must take into consideration this safety aspect prior to booking such vehicles, each vehicle page on the website advises if the vehicle has seatbelts fitted, modern vehicles will usually have the normal shoulder style seat belt however some may have lap straps and others none especially if a classic or vintage vehicle. The following website has details provided by the government and we require all clients, vehicle owners and their drivers to read this. http://www.childcarseats.org.uk/ Child seating and safety requirements required by law can be amended and/or changed at any time it is therefore the responsibility of Clients/Parents/Guardians to ensure they are fully aware of the current lawful requirements for any child under 14 years travelling in vehicles they are hiring, this also applies to the drivers of vehicles. The client must advise on the reservation form if a child using any vehicle will be under 14 years of age on the proposed travel date stating their age at the date of travel. For vehicles that have seat belts fitted the client is responsible for ensuring the correct type and size of child restraint ie Child Seat/Booster Seat for each child travelling as required by law is provided and is correctly fitted by an adult member of the wedding party, the driver should also double check to ensure child restraints are fitted correctly. The driver has the ultimate responsibility and final say as to whether a child travels in their vehicle if there are any doubts as to the restraint the client has provided. At least one adult member 18yrs + of the wedding party must accompany children when travelling. b. Vehicle Capacity – Vehicles are not allowed by law to carry more persons than the vehicles seating capacity. Maximum seating capacities are shown on each vehicle page on this website. c. Smoking and Food in Vehicles – We have a No Smoking policy in all vehicles and respectfully ask you not to smoke when inside the cars. Food items must not be consumed inside the vehicle/s. d. Weather Related Safety – In event of very severe weather causing hazardous driving conditions for example snow, thick fog, ice or flood the vehicle owner/s should they consider driver and passenger safety could be put at risk reserve the right to either cancel the booking or if available replace the vehicle booked to one better equipped to cope with such extreme driving conditions, it is solely the vehicle owner and/or chauffeur who will make this decision, not English wedding cars, and the owner and/or chauffeur will base their decision from handling experience of the particular vehicle/s booked and weather/road condition reports from the media and/or motoring organisations and will advise the client at the earliest opportunity of the situation. e. Severe Weather Cancellation – Although cancellation is very rare and would only be considered in extreme conditions, passenger safety being paramount, English wedding cars advises all clients to have their own back up travel plans in place especially if their wedding is taking place over the traditional winter period in case of last minute weather related problems preventing their hired vehicle from carrying out its booked itinerary. If the vehicle hired is a classic or vintage vehicle this may become more applicable at any time of the year as their lighting, signalling equipment, windscreen wipers, braking systems and general road handling is entirely different from today’s modern vehicles equipped with the safety aspects of ABS and other modern electrical and computerised workings. The owners/drivers are experienced in handling their specific classic and vintage vehicles in most weather however if you feel travelling in a vehicle with such period electrical and mechanical workings may be of concern on the day then we would recommend you consider booking a more modern vehicle to provide you with a little more peace of mind, this decision of course is down to the hirer. It is the vehicle owner/s and/or driver/s, not English wedding cars, who are entirely and solely responsible for the vehicle/s they provide and for the safety of those they transport in their vehicles and the client understands and agrees to this, clients must not book or travel in vehicles if they do not accept this. f. Phone Contact with Drivers – UK law states hand held mobile phones are illegal to use when driving, even hands free could be distracting, therefore should a client wish to make urgent contact with their chauffeur on the day the client must understand their chauffeur will not answer the phone if driving, but will respond to messages left after they have stopped and it is safe and legal to do so. g. Night Time Driving – Wedding Ribbons on vehicles can be distracting to the driver and although they are used during daytime wedding engagements in daylight they can cause visibility problems obstructing the view of the road when driving after dark, for this reason we are unable guarantee they will be on vehicles after dark, passenger safety being paramount plus the police would take a dim view in event of an accident. Therefore regardless if a client has requested ribbons, the driver alone will make the decision whether to drive their vehicle with ribbons across the windscreen during darkness hours taking into consideration safety and the route to be used. a. If a Breakdown Occurs – Even the most lovingly cared for and regularly maintained vehicles may at some time in their life break down or require unscheduled maintenance, The English wedding cars, 606 Kings rd., London, SW62DX it’s directors and employees and/or vehicle owners shall not be held responsible in the unlikely event that any vehicle reserved or in use suffers such breakdown or accident or other circumstances arise unforeseen at the time of reservation that prevents the booked vehicle/s from carrying out the clients itinerary. Vehicle owners in such circumstances will immediately and directly inform the client of the situation and then take steps to safeguard the interest of the client either by offering alternative transport from those they have available or by sourcing a replacement elsewhere, time permitting. b. Providing Alternative Vehicles – English wedding cars provides a marketing, booking & administration service only on behalf of vehicle owners, it does not sub-contract the vehicle/s or operate them in the name of English wedding cars and therefore plays no part in the contract and is not responsible for replacing vehicles, it is the vehicle owner who is solely responsible for rectifying the situation however vehicle owners must also advise English wedding cars of the situation so we may be ready to assist the client with a replacement vehicle should they require our help. We will usually have options to help in the event a problem occurs with a booked vehicle before the wedding day as long as sufficient time is given. If a similar vehicle of the same make, model and exterior colour is available this will be substituted without the need to inform the client beforehand. Hire charges will be adjusted to reflect any variation in cost for the replacement vehicle if chosen by the client, or if an acceptable replacement is not available either direct from the owner or from those available in the English wedding cars portfolio the vehicle owner will refund all monies the client paid via English wedding cars for the unavailable vehicle so the client may source an acceptable replacement elsewhere, the client also understands and accepts they must obtain a full refund direct from the original contracted owner, not from English wedding cars. c. Replacement Vehicles from a Different Owner – If the client requires a replacement car from the English wedding cars portfolio they will be entering into a new agreement with a different vehicle owner therefore payment must be made as normal for the replacement vehicle whether or not at the time the originally contracted owner has still to refund payment to the client. The previous owner will have no part in the new contract as their contract was unable to be fulfilled and therefore terminated. d. Last Minute Vehicle Change – If a substitute needs to be made urgently on the wedding day itself or very close to the wedding day vehicle owner/s will aim to provide as near a match to the original vehicle as possible. 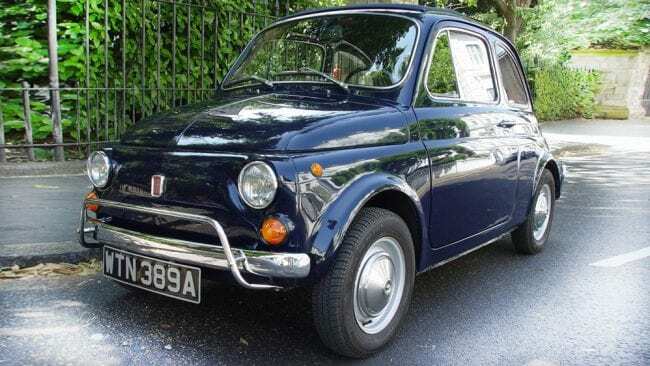 The client however should understand that some of the cars are unique especially those that are Vintage and Classic so to provide an exact match may not always be achievable especially at very short notice, the client therefore accepts this and understands the main aim at short notice is being able to provide a vehicle so as not to let the client down. Where time permits the vehicle owner must contact the client to advise of a change of vehicle if it is obviously different to the one booked, for example a different exterior colour, seating capacity, make or model. If however the owner has tried but been unsuccessful in making contact then the client will retain the option not to accept the replacement on its arrival at the collection address, the vehicle will then return to base and a full refund will be made by the vehicle owner for the original vehicle. If the client accepts the replacement vehicle either beforehand or on arrival, or it is used by passengers, it will be confirmed as acceptance of the change and no refund will be made unless the replacement vehicle is advertised at a lower price than the one originally booked in which case a refund of the difference will be made. If the replacement vehicle is advertised at a higher price the client will not be responsible for the difference unless this has been agreed with the vehicle owner beforehand. Where two vehicles are replacing one, the client will not be responsible for any additional cost unless this has been agreed with the vehicle owner beforehand. e. Breakdown on the Day and Refunds – English wedding cars requires all clients to read this websites FAQ section as part of the Terms and Conditions of hire which in the unlikely event of a situation happening on the wedding day itself offers positive and constructive advice. For vehicles that experience a breakdown/failure during the actual itinerary being carried out a reimbursement will be made by the vehicle owner/s and may be proportionate, they will take into account any trip/s containing passengers listed in the clients itinerary that were already completed or partly carried out prior to the problem manifesting itself and the costs of a replacement vehicle if able to be provided, up to a complete refund for the problem vehicle if a replacement vehicle was unavailable and the whole itinerary was unable to be fulfilled, reimbursement or compensating claims will not exceed a full refund of the total amount the client paid via English wedding cars for the problem vehicle and the client accepts this and agrees to make no further claims against English wedding cars, 606 Kings, road, London, SW6 2DX, its employees or the contracted vehicle owners/drivers in the above described circumstances. Dependent on the particular circumstances of the breakdown an owner may offer the client a ‘gesture of goodwill’ which if not monetary will, if not utilised, normally expire after 12 months unless a longer period is confirmed in writing by the vehicle owner. f. Unavailability Due to Mechanical Repairs – The client confirms they understand and accept that in the rare event mechanical problems arise with vintage and classic cars the rectification of such problems may take longer than with modern cars where parts are readily available on the shelf, in some cases parts for classic and vintage vehicles may need to be manufactured and the timescale for such will be controlled by the specialist companies and therefore outside of the vehicle owners control and therefore unavailability may be advised well in advance of the wedding day. g. Unavailability for Other Reasons – English wedding cars and its employees have no control over owner’s vehicles and the client therefore accepts English wedding cars will not under any circumstances be held responsible or liable in the unlikely event a booked vehicle is unable to be provided for whatever reason, including it being sold prior to a confirmed booking. The client accepts and agrees that liability will lay solely with the contracted vehicle owner/s who will be responsible for resolving the situation and refunding the clients full payment amount paid via English wedding cars if they are unable to provide an alternative vehicle acceptable to the client. 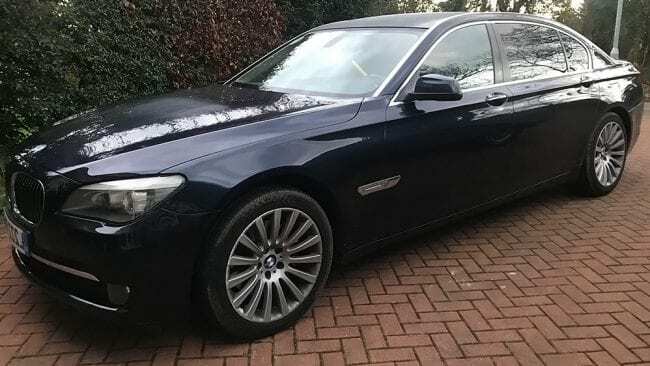 English wedding cars will be more than happy to offer help to the client in finding a suitable replacement from our extensive portfolio should the client request this. h. Vehicles Modified or Changed Since Booking – Vehicle owners are responsible for providing the booked vehicle the way it was shown in the photographs at the time the booking was made. Vehicle owners must immediately advise the client and English wedding cars if they have changed their vehicles appearance so that it no longer resembles the photograph when booked, for example a change of colour, or highly visible modifications. Liability will lay completely with the contracted vehicle owner/s who will be solely responsible for resolving the situation and for refunding the clients full deposit and balances paid if the vehicle modifications mean it is now inappropriate for the client’s purpose. If booking a modern vehicle the client accepts that vehicle owners retain the right to upgrade their vehicle/s from time to time to a newer model, if this happens vehicle owners will advise the client and guarantee bookings transferred to the new vehicle/s will remain at the originally quoted price, not increased. In event the exterior shade/colour of the vehicle is different from that originally booked the client may either accept this, or change their booking to another suitable vehicle in the English wedding cars portfolio, or will have the right to cancel the replacement car and receive a full refund by the vehicle owner of all monies paid via English wedding cars for the vehicle in question. If changing to another vehicle in the English wedding cars portfolio prices may be adjusted as appropriate. j. Disputes between Client and Vehicle Owner – Vehicle owners agree to settle any dispute and/or refund any amount agreed with the client within seven days of the dispute being brought to their attention. k. Replacement Vehicles from Other Companies – In event of a vehicle breakdown or non-availability of a vehicle due to circumstances unforeseen at the time of reservation you accept that English wedding cars and/or the vehicle owners if not able to replace from our own source may in some instances need to request the services of other companies in order to rescue the situation for the client, however in these cases responsibility or liability is not accepted for the other company’s vehicles or the service they provide. English wedding cars does not sub contract vehicles. a. Contract between Client and Vehicle Owner – By hiring/booking any vehicle via the English wedding cars website and paying a deposit or full or part payment, by whichever means, constitutes your consent to our passing on your details to the vehicle owner to fulfil your booking. 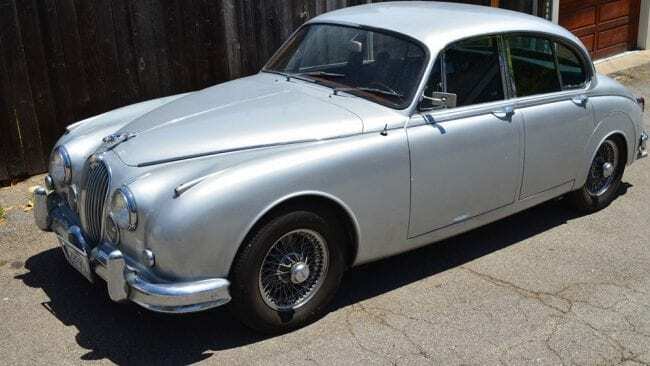 A contract will be formed directly and entirely between the client and the vehicle owner who will either be an established wedding car company and/or private independent owner of the vehicle being hired, not English wedding cars. Your detailed itinerary will inform you on whose behalf we are acting as marketing agent and with whom your contract is made. All bookings are subject to the terms and conditions shown on this website unless advised otherwise in writing by us. The services of English wedding cars are marketing and administration only and these duties are carried out for, on behalf of, and at the request of independent private vehicle owners and/or established wedding car business owners. English wedding cars is an independent ‘marketing company’ not affiliated with vehicle owners and does not sub contract their vehicles. Vehicle owners operate the service under their own or business name not in the name of English wedding cars. The marketing and administration services provided to the client by English wedding cars are paid for by the vehicle owners, not the client. English wedding cars services and responsibility to the client relate to the administration of the booking only and end at close of business 28 days prior to the wedding, thereafter the vehicle owners take over full control and are fully responsible and/or liable for whatever happens in the remaining days, and on the wedding day itself. Weddings are very special events therefore the client must make direct verbal contact with the owners of the vehicle/s they are hiring 14 days prior to the hire date to re-confirm the itinerary is exactly as required. The hire charge paid by the client is for the provision of vehicle/s and transportation only and includes the whole of the itinerary as requested by the client. The departure and arrival times required will be adhered to but cannot be absolutely guaranteed if due to situations outside the control of the driver. b. Last Minute Change of Driver – If an unforeseen last minute situation arises with the allocated planned driver, for example accident or illness a substitute driver may need to be provided at very short notice in order to transport the client as per their schedule, although the number one priority will be to provide the service exactly as advertised it may not always be possible for the replacement driver at short notice to be attired as described on the website or be fully familiar with the route therefore satellite navigation may be relied upon, fortunately these are very rare situations and as this will not affect the actual transportation of the client refunds will not be made under these circumstances. c. Problems on the Wedding Day – If a problem occurs on the actual wedding day the responsibility for resolving any problem or situation lies solely with the vehicle owner who the client has contracted to provide their vehicle and services, and by making a booking the client is confirming they fully understand, accept and agree that ‘English wedding cars’ will not be held liable or accountable for problems occurring on the actual wedding day. d. Vehicle Suitability and Viewing – English wedding cars does not own, act as principal, or sub-contract the vehicles but simply provides an online website portfolio of wedding transport and provides a complimentary quotation and booking service to the client on behalf of the wedding car owner/s, English wedding cars does not itself provide the vehicle, the product or the service on the wedding day, as such it is for the client to satisfy themselves that any vehicle they wish to hire is suitable for their needs, meets the standards they require and the vehicle owner/s responsible for carrying out their contractual obligations to the client can provide exactly the style of service required. 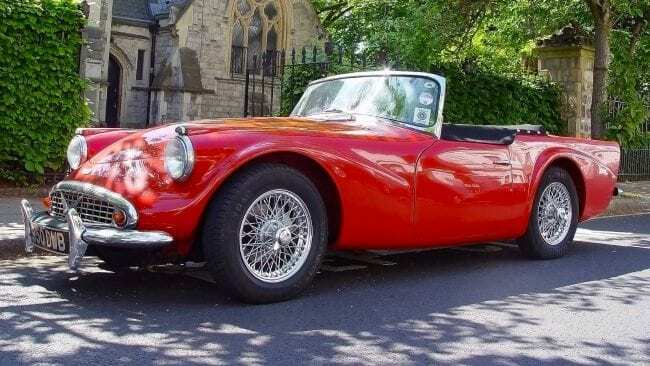 English wedding cars understands website descriptions and/or pictures may not always depict a vehicle as accurately as seeing the vehicle in person so will be happy to arrange a private appointment for clients to view any car and meet the owner and/or chauffeur for this express purpose should they request this. e. Booking Different Owners – If a booking has been made which involves vehicles from different owners and one of the owners is subsequently unable to provide their vehicle/s the contractual arrangements with the remaining owner/s will still remain in place. f. Negative Reviews of a Vehicle Owner – The client confirms English wedding cars and its employees will not be held liable in the unlikely event of a dispute between the client and the contracted vehicle owner/s with regard to the vehicle or the service the owner/s have provided, or were to provide, or are due to provide, and you confirm and agree that as English wedding cars services to the client are finally completed at close of business 28 days prior to the wedding in the unlikely event a problem should occur on the wedding day itself you will only use your individual contracted vehicle owners name or their own company name when discussing or broadcasting a negative situation and that you will not make negative remarks either verbally or written, or publish on any other website or social media platform negative comments to malign the good name of ‘English wedding cars’ for situations occurring on the wedding day, or before, that ‘English wedding cars’ is clearly not responsible for [see Terms & Conditions 10]. English wedding cars is therefore unable to become involved in the unlikely event of a dispute and the client in making the booking fully agrees to this. g. English wedding cars and Owners Relationship – English wedding cars may at any time cease providing it’s complimentary services to the client on behalf of the contracted vehicle owner/s however in this unlikely event these terms and conditions will remain in force as they form the clients agreement with both the vehicle owner/s and English wedding cars, in this event the contracted vehicle owner/s will then take over the direct responsibility for the booking correspondence and any changes or updates subsequently requested by the client and all future contact will be between client and contracted owner directly. h. Owners Licences and Insurance – Vehicle owners must advise English wedding cars and the client if their contact details differ from those shown on the itinerary confirmation. Vehicle owners are solely responsible for ensuring they have the required licences and insurances for their vehicles and drivers as required by law, English wedding cars does not have sight of individual documents, insurance policies, MOT’s and licences, the client therefore confirms they will not hold English wedding cars and its employees responsible or liable for ensuring the required documents are in place and valid and by paying a deposit or full payment the client is confirming they understand, accept and agree to this. By advertising their vehicles on this website vehicle owners are confirming any documents, insurance policies or licences as required by law for their vehicles and drivers are current and in place. Clients are advised should they have any concerns about the vehicle/s they wish to hire they view the vehicle/s and meet the vehicle owner. j. Avoidance of Delays to Refunds – If in the unlikely event after receiving full payment a vehicle owner then fails to provide their vehicle or services for any reason the vehicle owner agrees to refund the client the full amount the client paid via English wedding cars without delay, but in all cases to refund the client not later than seven days after the booked wedding date. k. Delay to Arrival at Collection Address – In the event a vehicle is en-route to a collection address and encounters a problem which could result in a delay to the scheduled arrival at the collection address the chauffeur must immediately contact the client to inform them of the approximate arrival time, vehicle owners confirm they will instruct their chauffeurs to always carry out this practice, mobile signal permitting and mobile driving laws obeyed. Clients must always be kept updated as timings are crucial. l. Vehicle Departure at End of Hire – The ‘end of hire’ time occurs when the vehicle and its occupants have arrived safely at the final destination address shown on the itinerary and no further trip has been planned for that car, the vehicle/s duty will then be considered completed and therefore it will be free to depart back to base unless required by the client to remain for additional photographs etc.., chauffeurs will check with a principal member of the wedding party before leaving for this purpose, principals being Bride/Groom/Best Man or Bride’s parent/s. The text ‘this vehicle’s hire paid up to’ or ‘hire paid until’ shown on the itinerary refers to the time after which additional charges will become due, it does not refer to the end of hire time. m. Contract Between Parties – These terms and conditions are those all vehicle owners advertising their vehicles on the English wedding cars website will operate to and by advertising their vehicles on this website vehicle owners are confirming and agreeing to these terms and conditions in full which will therefore form the basis of the contract between the client and vehicle owner, the client and English wedding cars and the vehicle owner and English wedding cars. Liability Outside of Direct Control – English wedding cars, its employees and/or the vehicle owners and drivers will not be held liable or responsible for situations caused by circumstances outside of their control resulting in late arrivals at collection addresses, ceremonies or receptions, delays or cancellations to ceremonies or receptions, missed appointments, missed photographic opportunities, missed travel connections, delays by utilising one vehicle on multiple trips to the same destination, clients not departing the collection address at the stated time, traffic congestion, incorrectly advised timings, vehicle breakdowns, punctures or other circumstances beyond their control not listed above. a. Cancellation by The Client – The hirer reserves the right to cancel their booking at any time. Although the initial standard deposit is non-refundable if you cancel we are happy to transfer your deposit to any other date or should you wish to cancel completely we will refund any other money you have paid for the quoted car hire, no quibbles. Unlike some companies we do not see the need to penalise you and charge a percentage of the hire cost on a sliding scale just because you need to cancel many months before your wedding, therefore any amount paid over and above the standard reservation deposit for the car hire is fully refundable if written cancellation is received 43 days or more before the booked date, however if cancellation is advised 42 days or less prior to the booked date then full payment will be due to the vehicle owner/s. b. Low Hire Charges – For vehicles that have hire charges priced lower than the normal standard deposit the full amount of the hire charge will be deemed as the deposit and treated accordingly. c. Fees for Card Processing – English wedding cars is a commercial agent acting for and on behalf of the vehicle owners and is therefore exempt from the Payment Services Directive [PSD 2]. However, clients will NOT be charged a fee for paying using the secure facility on our website for UK Bank Credit or Debit Cards. In addition there are no fees for paying by Bank Transfer or Cash. cc. Fees via the ‘PayPal’ Facility – There will be a 4% fee charged if paying via the ‘PayPal’ facility. We do offer a secure fee free credit/debit card payment option on the website, however if the client subsequently chooses to make payments via the ‘PayPal’ facility they will be agreeing to pay the 4% fee. In the event a refund becomes due to the client any fees charged by their card company or ‘PayPal’ will not be refundable as these are not part of the vehicle hire charge. d. Chargebacks – Should a chargeback be made against English wedding cars it will generate a £30 minimum fee inclusive of vat to cover any costs the designated card payment provider will have levied on English wedding cars, should this later be reversed the client will be reimbursed. If a balance payment results in a chargeback fee levied against English wedding cars the booking will not proceed unless any fee charged to English wedding cars is paid in addition to the balance due. If a client pays a deposit and the deposit payment is later disputed the booking will be cancelled and will not be re-instated to that client unless the chargeback fee levied against English wedding cars is paid in addition to the normal deposit required. e. Order of Payment Reduction – Payments received from the client will be applied to their account to pay off the total in the following order – Vehicle Deposit, Admin Charge [if applicable], Paypal or Credit Card Fee [if applicable], remaining Vehicle Balance. In the rare event a cancellation is made after accruing an admin charge for requesting ‘excessive and repeated’ changes this will be payable before cancellation can take effect, if the client has already paid more than the standard deposit and accrued an admin charge this will be deducted from the total paid prior to the balance being refunded. f. How to Cancel Your Booking – All cancellations must be notified to English wedding cars by email or in writing, cancellations will not be accepted over the telephone. On receipt, English wedding cars will also confirm the booking cancellation to the hirer in writing or by email which the hirer must then retain until after the cancelled wedding date as their proof of cancellation. The hirer must inform English wedding cars if within 7 days of the date the cancellation is made they have not received our letter or email confirming the cancellation, the hirer must not automatically assume their cancellation request has been received and actioned. It is the hirers responsibility to cancel the booking if the vehicle/s are no longer required, if the client does not advise English wedding cars they wish to cancel their booking the contract with the vehicle/s owner will still be in place and the full balance outstanding plus any accrued admin charge will still be payable should we subsequently learn within 43 days of the wedding date the vehicle/s are no longer required and the client understands and agrees to this. In event of cancellation of a booked vehicle by the client and in all cases the reservation deposit is non-refundable regardless of which method of payment was used to make payment or the amount of time passing since payment was made as the deposit covers the initial administration costs the owner pays English wedding cars which will have already been completed, we advise clients to consider wedding insurance to cover non-refundable payments. g. Final Date for Balance Payment – Clients may pay their remaining balance any time and at their convenience as long as it is received by English wedding cars not later than 14 days prior to the wedding date, non-receipt of the full and correct balance by this final due date will incur an administration charge of £20 should we need to send more than two courtesy reminders for the late payment unless the client has advised English wedding cars before the final due date and a later payment date has been mutually agreed. Clients therefore agree to pay their full balance on or prior to the final due date and accept it is not the responsibility for English wedding cars to remind them. h. Non Receipt of Balance – At 14 days prior to the wedding vehicle owners and/or English wedding cars reserve the right to re-book the vehicle/s to other clients if the full balance outstanding has not been received unless the client has agreed an extended final due date with English wedding cars. j. Cancellation Due to Date Change – Changing a wedding date after a booking has been confirmed is deemed as a cancellation, however if a new date is set and your originally booked car/s are available for the revised date your existing booking would be transferred to the new date without loss of deposit, however an administration fee may be charged if the transfer also involves a complete change of itinerary in addition to the date and a review of the hire charge may be made by the vehicle owner if the revised date is in a future year. If the client decides to postpone the wedding date to a future date in later years but has not yet decided on a date, in order to keep the contract in place and safeguard their initial deposit instead of cancelling and losing it an additional non-refundable guarantee deposit will be required which will of course be deducted from the final balance when due, if the client subsequently also cancels this postponed later date the additional guarantee deposit plus the initial deposit will be forfeited. Original deposits are unable to be held over indefinitely, therefore if a new wedding date has not been set and an additional guarantee deposit has not been received the existing booking will be cancelled and the original deposit will be forfeited. k. Transfer of Deposits – Deposits are non-transferable to other persons for different weddings. l. Reinstating a Cancellation – If a client cancels their booking then subsequently wishes to re-instate it a small administration fee may be charged to re-set up the booking. m. Changing Vehicles and Deposits – It will be deemed a cancellation if prior to the wedding date clients wish to change vehicle/s from those originally booked, however there would be no loss of deposit if the vehicle/s you are changing to belong to the same owner as those originally booked, we therefore advise clients ensure the car/s they are considering booking are suitable for their needs and passenger carrying capability before making a booking. n. Part Cancellation – If clients cancel a vehicle it will be deemed a cancellation of the whole existing contract except where this contained more than one vehicle, in which case an amended contract would be raised for the remaining vehicle/s. If a discount was originally given for booking vehicles as a pair, as a bonus for an additional car, or for any other reason this courtesy discount will no longer apply and the amended contract will show the remaining car/s re-quoted at the current standard price. Although the deposit for the cancelled vehicle would be lost there would be no loss of deposit for the remaining vehicle/s as deposits would be transferred to the amended contract. o. Itinerary Change to a New Destination – Changes to itineraries which would then require the booked vehicle to operate outside of its stated maximum area of operation will also be considered a cancellation unless the owner agrees to travel the further distance, in which case an additional payment will become due calculated on the additional mileage required. p. Discounts and Changes to Wedding Day – Changes to wedding dates from a weekday wedding to a weekend wedding where a discount has been given for a weekday will result in the weekend price becoming payable, if a weekend wedding is changed to a weekday wedding no discount will apply if that vehicle has a lower weekday rate as the weekend slot booked and then vacated may not be able to be re-booked. q. When is a Deposit Not Payable – A securing deposit is required for every vehicle when booking, however if the same vehicle is booked to return for a late evening collection in addition to the daytime wedding only one deposit is payable. If the vehicle chosen to collect late at night is not one of those used during the daytime wedding a further deposit would be required for this vehicle. r. Weather Related Cancellations & Refunds – If due to extreme weather a vehicle owner needs to cancel a booking prior to carrying it out a full refund will be made direct to the client by that vehicle owner. Extreme weather is considered an unpredictable act of god outside the control of the vehicle owner so some expenses if already ‘expended’ on the clients behalf will still need to be met. An example of expenses already ‘expended’ is the fuel used if the vehicle was already on it’s way to or actually carrying out the itinerary when due to severe weather the decision to abandon the itinerary was taken. This already ‘expended’ amount would be deducted from the refund due to the client from the vehicle owner in extreme weather related circumstances such as Snow, Flood, Ice, Thick Fog etc. we therefore recommend clients wishing to protect their refund in Full consider wedding insurance that would cover a suppliers failure to meet their contracted obligations under such circumstances. Passenger safety will always be paramount in any decision taken by the vehicle owner and/or driver. a. Safety at Viewings – To ensure the vehicle/s you wish to hire are right for your wedding day we are happy to arrange a private appointment for you to view any vehicle at their garage units or individual owner’s private homes. When viewing vehicles at a private home or other premises you agree and confirm that English wedding cars, it’s employees and/or vehicle owners will not be held liable for damage, accident or other experience to you or any member of your party or your property and that you and all members of your party when attending arranged viewings do so entirely at your own risk. Please be advised none of the vehicles shown on this website are garaged at the English wedding cars office address and are therefore not available to view at this address. b. Booking after Viewing – All viewings and bookings will be on a ‘first come first served basis’ therefore clients wishing to actually book a vehicle before another client’s future planned viewing date of that vehicle will always take priority. Remember in the peak season there can be many people after the same car, if you like it others will too. The exception to this is on the actual day of a pre-arranged viewing whereby the client attending the viewing will always take priority. Vehicle owners are solely responsible for checking to ensure their vehicle/s are available for the clients wedding date before accepting a viewing arranged on their behalf by English wedding cars and the client confirms they understand viewings are arranged on this basis. Vehicle owners agree to inform both the client and English wedding cars before the viewing if their vehicle/s subsequently becomes booked or are otherwise unavailable for the clients wedding date. After a client has viewed the vehicle/s they will become available for others to view or book unless they contact English wedding cars after the viewing advising they wish to book, so safer to advise sooner rather than later. c. Re-Confirming Viewing – To ensure no problems occur, just before departing home for the viewing we strongly advise clients to contact the owner directly to re-confirm the viewing especially if due to travel a long distance. Wedding Insurance – Although the possibility of cancellation is not usually a consideration at the time of planning and booking English wedding cars strongly recommends you consider the option of a low cost wedding insurance to cover you for such eventualities as wedding cancellation expenses, missed flights, travel delays, accidental vehicle damage, extreme weather, insolvent service providers and other possible wedding related situations. a. Data Protection – English wedding cars is a fully Data Compliant [GDPR] company. Clients who very kindly send letters and emails after the wedding commenting on the vehicles and the service provided will have granted their permission for English wedding cars to display these letters and/or their content on this website but only for the purpose of providing references for future clients. We will not display private addresses or phone numbers. b. Our Photographer – On the odd occasion English wedding cars may arrange for our own photographer to discreetly take photographs of our vehicles during a wedding itinerary, these would be for display on our own website and marketing portals only and for the purpose as a helpful guide for future Bride & Groom’s so they may see photos of the vehicles in previous operation. Occasionally these may contain pictures of the Bride & Groom and other members of the wedding party, the client is also granting permission for these to be displayed on this website unless we have been advised prior to the wedding day that the client does not wish this, in which case our photographer would not be present and we would respect the clients wishes. 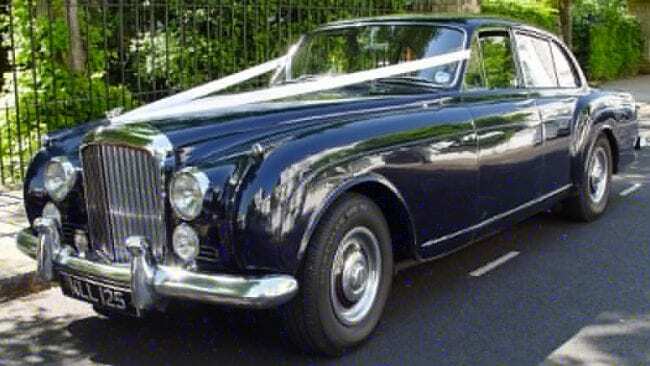 The client confirms that English wedding cars may, if not advised beforehand display such photographs. c. Other Photographers – We also co-operate with local wedding photographers to share wedding photos of our vehicles for marketing purposes only which may be used across our website, social media and other advertising platforms if used such as 3rd Party Websites and/or magazine/book publications. Wedding photographers will have granted us permission to display their copyrighted material, however as a professional company we will always take into consideration the wishes of any person shown in those photos should they require us not to display certain photos through our own website and/or other advertising platforms and we will respect and honour their wishes. a. Appearance and Timings – By requesting English wedding cars to advertise their vehicles on this website vehicle owners are confirming their vehicle/s will be presented in good cosmetic condition and in working order and will have been valeted inside and out before leaving base and that the vehicle/s will arrive at the first collection address at or before the time stated on their itinerary and that they will provide a professional service to the client. b. Itinerary Updates – To avoid errors and to ensure vehicle owners operate to the client’s latest requirements vehicle owners must destroy all earlier itinerary confirmations on receipt of or being advised of a revised itinerary. c. Standardised Terms & Conditions – Vehicle owners understand and agree that at times the client may reserve more than one vehicle from different owners and therefore it is more practical to provide a simple set of standard Terms and Conditions to provide uniformity among different owners and for the client, therefore owners agree to operate to the terms and conditions shown on this website unless they advise English wedding cars differently in writing prior to requesting the uploading of their vehicles and/or before accepting a booking. Vehicle owners agree they will always operate in their own or their company name when carrying out the wedding itinerary, not in the name of English wedding cars, and confirm English wedding cars only provides initial marketing and administration services on the owner’s behalf and at their request and does not sub contract their vehicles or employ vehicle owners or their drivers and therefore plays no part in the contract of which they confirm will be direct between the client and the vehicle owner. d. Accepting Bookings and Confirming Itineraries – English wedding cars will always phone to check vehicle availability with the owner and also before accepting a confirmed booking. Acceptance of the booking by the vehicle owner is confirmed at this time and English wedding cars will then start the booking process with the client and a fully detailed itinerary will be produced for both client and owner. The vehicle owner must confirm to English wedding cars receipt of their copy of the itinerary when received. Vehicle owners must check the itinerary details sent to them and upon receipt must advise English wedding cars immediately if they notice a problem with the itinerary that prevents, or could prevent, the booked vehicle from carrying out the itinerary exactly as detailed by the client. e. Payment Transfer for Owners – Clients payments received by English wedding cars on the vehicle owners behalf become the entitlement and property of the vehicle owners immediately upon receipt by English wedding cars however unless owners advise English wedding Cars differently vehicle owners confirm English wedding cars may hold their deposits until the balance is received then forward to their bank account at the agreed time prior to the wedding date the full amount of funds received for their vehicle/s less the fee the vehicle owner has agreed to pay English wedding cars for its administration services of which vehicle owners confirm should be deducted from their funds before transferring payment to their bank. f. Payment Transfer Errors – If English wedding cars inadvertently pays an incorrect amount to the vehicle owner English wedding cars will by bank transfer pay any shortfall to the owner the same day it is realised, equally so if English wedding cars transfers an amount to an owner that is higher than that agreed for the hire in question then that owner shall repay by bank transfer the over payment to English wedding cars on the same day it has been notified. g. Policy for Refunding Client if Unavailable – If for any reason a vehicle owner is unable to provide the booked vehicle or provide a replacement vehicle acceptable to the client any monies still being held by English wedding cars on behalf of the owner will immediately be paid to the owner so they may refund their client directly, refunds or repayments from owner’s businesses are unable to made to the client through the English wedding cars bank account. Owner/s agrees to refund the client directly within seven days the total amount the client has paid via English wedding cars. By advertising their vehicles on this website owners are confirming they understand and agree fully with the client refund policy. h. Advertising Requirements – Vehicle owners are able to advertise their vehicles on this website free of charge, English wedding cars will set aside time to prepare and upload photos and prepare text and other information to provide an advertising platform for each vehicle, in turn vehicle owners confirm their vehicles will be available for wedding hire marketing on this website for a minimum of 12 months in order for English wedding cars to try and recoup its initial costs in setting up each vehicle page, if vehicle owners wish to remove their vehicle/s within 12 months of being uploaded to the website a removal charge equal to one marketing fee per vehicle will be payable to English wedding cars to cover the initial set up costs unless the vehicle in question has already achieved at least one booking via this website in which case the fee is not payable, vehicle owners advertising their vehicle/s on this website are confirming they agree to this. After 12 months of continuous display the removal charge is not payable. j. 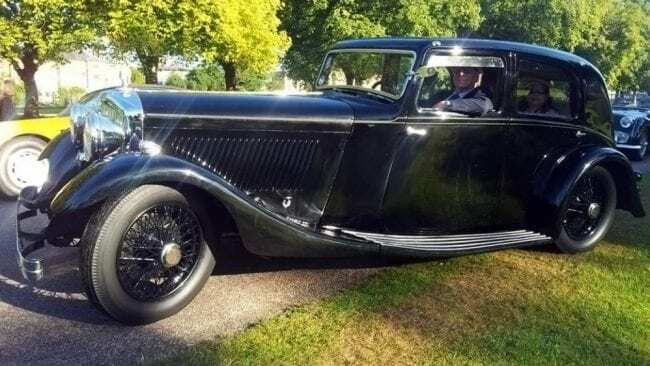 Modification to Owners Vehicles – The client books a vehicle/s based on photographs the owner originally supplied to English wedding cars or commissioned, and/or the client viewed in person. If the vehicle owner subsequently makes major modifications to their vehicle and the vehicle then looks totally different, for example a change of colour, then the vehicle owner must advise the client directly and English wedding cars without delay. If the client is not happy with the modifications then the owner must immediately provide a full refund of all monies the client paid via English wedding cars so they can source a replacement vehicle without delay. 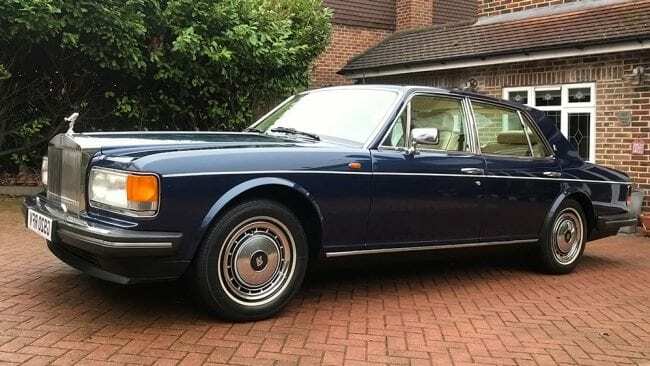 Before the owner’s vehicle can be marketed again English wedding cars will require new up to date photographs and until such time as they are received their vehicle will be removed from the website. Clients understand and accept that English wedding cars has no control over owner’s vehicles and therefore will not be held liable or responsible for any modifications they make, however if English wedding cars is made aware of planned modifications before they occur we would always advise the client at the earliest opportunity. k. Copyrighted Photographs – Photographs of vehicle/s taken by our own photographer are the copyright of English wedding cars and are for marketing purposes by English wedding cars only, vehicle owners are not permitted to use these for their own additional marketing and/or advertising either directly or indirectly unless they have written permission from English wedding cars to do so. Owners advertising their vehicles on this website grant permission for images sent to English wedding cars by the owner/s via electronic or other means, or those downloaded from their website or from their other social advertising mediums to be displayed throughout our own advertising mediums as long as they are used strictly for marketing purposes of their vehicles only. l. Alternative Horsepower – For certain types of specialised transport like ‘Horse and Carriages’ owners may still advertise on this website, however as livestock is involved all communication we receive from the client including requests for quotes are forwarded directly on to the Horse & Carriage owners who are best qualified to offer quotes and answer queries. 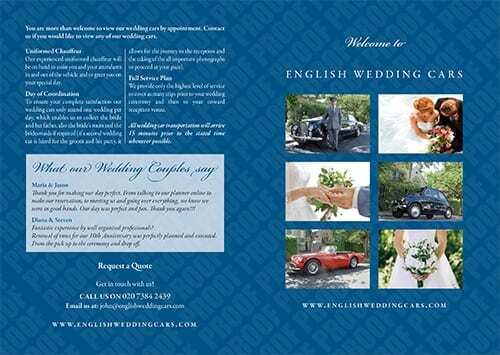 English wedding cars will agree an annual advertising fee with the owner which covers up to a twelve month period. Owners may remove their specialised transport within the advertising period however refunds would not be made. English wedding cars is not responsible or liable for incorrect information about specialised forms of transport like Horse & Carriages and provides an advertising platform only. m. Correctly Displayed Information – All owners are responsible for ensuring their advertising page/s on our website show the correct information and description and are updated as required regardless of whether theirs is a specialised form of transport like a Horse and Carriage, or a motorised vehicle. n. Management of Booking – English wedding cars will arrange the vehicle marketing and manage the booking for the vehicle owner from the clients initial contact until 14 days prior to the hire date. As all payments will by then have been received the vehicle owner will then take over the management making any late last minute changes directly, if required. The management covers all aspects of the booking process and ongoing service to the owner and their client, however what it does not include is offering their clients explanations and/or the responsibility for dealing with any situation caused by the vehicle owner if they cancel their contract with the client. It is solely the contracted vehicle owners responsibility to inform their client and the reasons why they are cancelling and to try to resolve the situation for their client. Contract cancellations by independent wedding transport companies and private vehicle owners are not the responsibility of English wedding cars, although as a duty of care to the client we will always send a courtesy email advising we have been informed. Naturally English wedding cars will be only too happy to help the vehicle owner and client find a suitable replacement should our help subsequently be requested. Insurance and Licence Requirement – UK Law dictates that vehicles available for Proms and Private Hire require different insurances and licences to those required for Wedding Hire, this applies to both vehicles and their drivers. As English wedding cars is Exclusively a Wedding Car Hire company our Wedding Hire Insurance is specifically tailored to this type of work therefore we will only be able to offer quotes, availability and accept bookings for Wedding Hire, Marriage Blessings, Civil Partnerships, Film and TV Hire and Funeral hire. We regret we are unable to provide any vehicle shown on this website for School Proms, Birthdays, Stag Nights, Hen Nights, Trips to the Races or the Theatre etc. as these other hire types require Private Hire Insurance not Wedding Hire Insurance. This is a UK Law requirement. b. Withdrawal of Free Services – We reserve the right to change or end any current free offer, free membership, free vouchers or products or free draw at any time without prior notice in which event the hire agreement shall still remain in force and the client agrees they will not be entitled to refunds or compensation based on the withdrawal of free memberships, offers, draws, vouchers or products, or temporary malfunction of vehicle ancillary equipment not related to vehicle movement, for example Television, DVD etc. c. Validity of Terms – These terms and conditions will supersede and override all contractual terms and conditions of any other contracting party howsoever and whenever communicated. If any term or condition is found to be invalid due to any regulation or law the remainder of the terms and conditions in the agreement will not be invalid as they shall be separated from the invalid term or condition and shall therefore not impair the validity of those remaining terms and conditions. All material on this website is protected by copyright with all rights reserved.